On The Path: This is an Awesome Winter! I know many people have had enough. Even those who love winter are starting to scream uncle to this one. But it really has been an awesome one. The tons of snow have been much needed to get the water tables back up. Hopefully we have a nice gradual melt this spring. I am still enjoying this winter. It’s been many years since we've had one like this and I hope this type of winter is cycling back for a while, like it was in my early years. Back when the snowbanks were higher than the cars for most of the winter. When it was almost as common to see a snowmobile going down the road as a car since the weather wouldn’t allow the Townships couldn't keep the roads bare. I may be in the minority on hoping we have a few more winters “like we used to.” I’m not sure it’s because we've gotten so used to the milder winters of late and have gotten lazier and weaker because of it. Or maybe the majority just never like them anyway. Photos from the last snowfall. 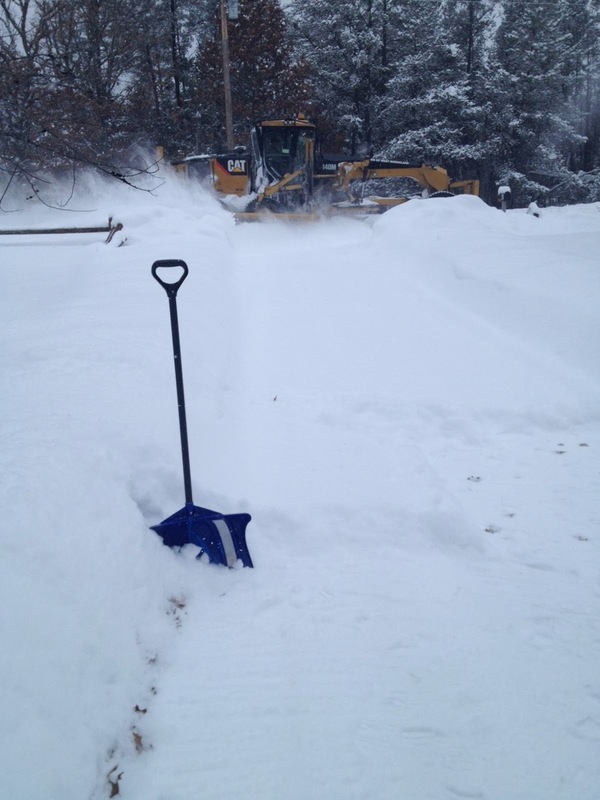 Here are some photos I took a few weeks ago when I was shoveling snow. I heard the road grader that's used to plow the road coming and thought it would make a nice picture, since I timed it about right. Then since I had the phone out, I took a few more pictures, since is was such a nice winter day. Good timing on my part as I was nearly done shoveling when the plow went by! 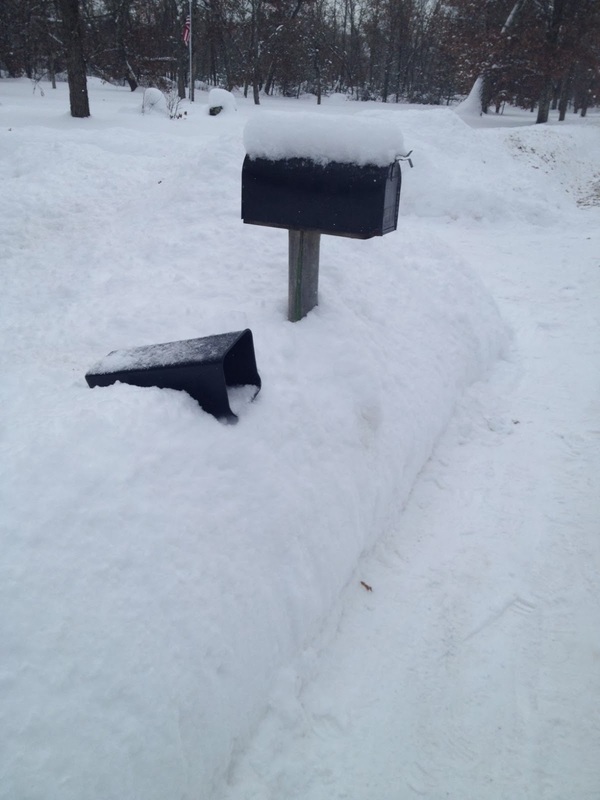 It's a nice size snow bank when the mail boxes start to disappear. End of the drive looking back. 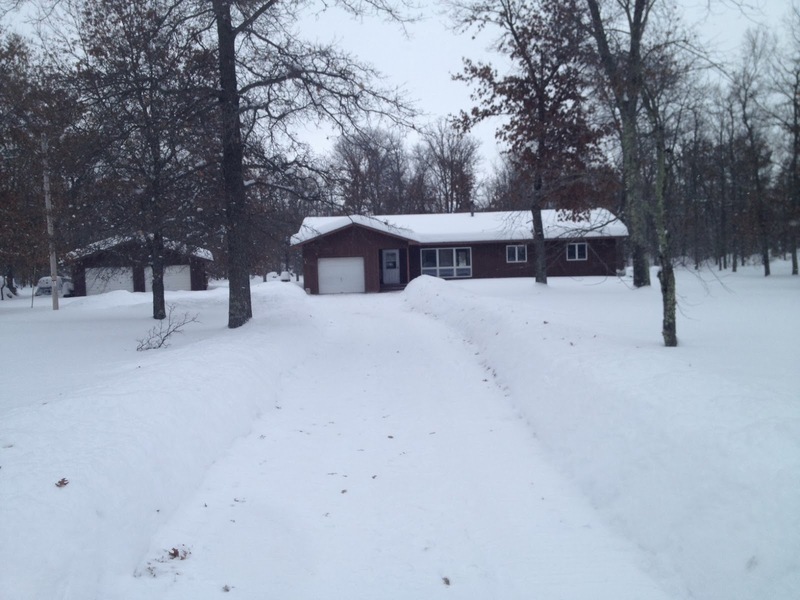 My driveway is short enough so I rarely need to take out the snow thrower. My roof is insulated enough to avoid ice dams, but any more snow and I'll still need to get out the roof rake. 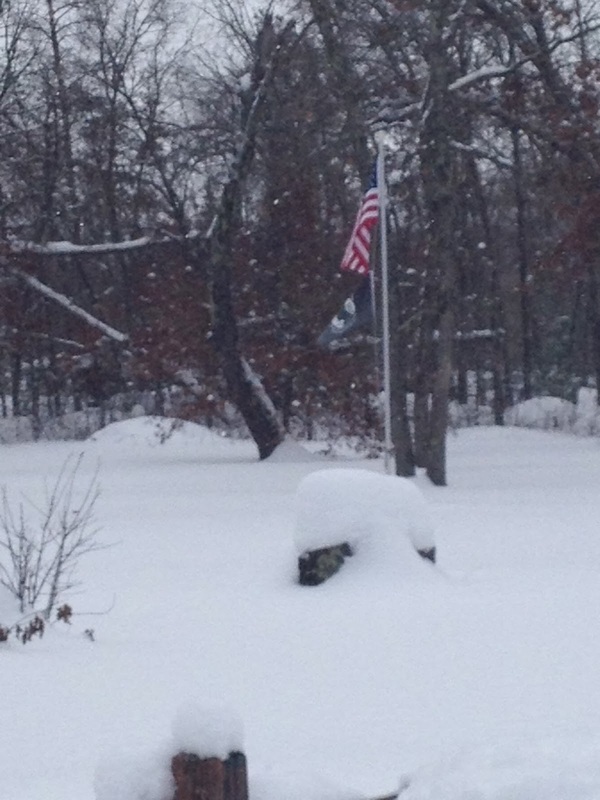 Snow piling up on the stumps left from the 2011 wind storm. The wood pile. 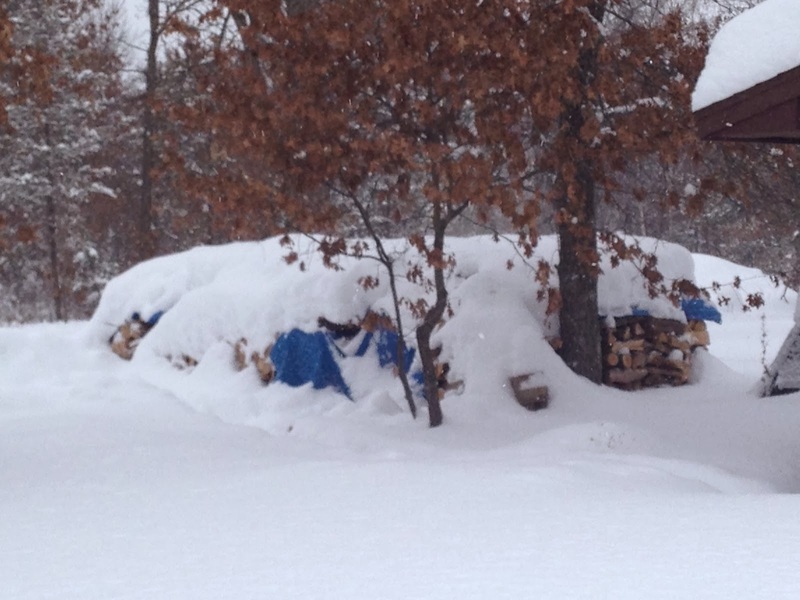 Next spring I'm building a shed for it instead of covering it with cheap tarps. With the cold weather, I have already burned through what I did last year & had to haul in more inside from the pile. 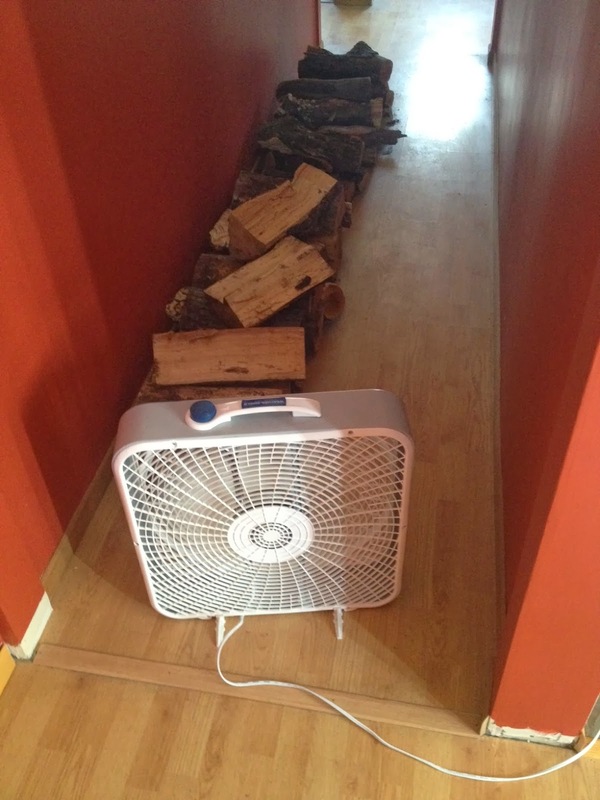 With moisture seeping through the tarps, I needed to set up a drying station in a hallway. Lesson learned and I will be better prepared next year. 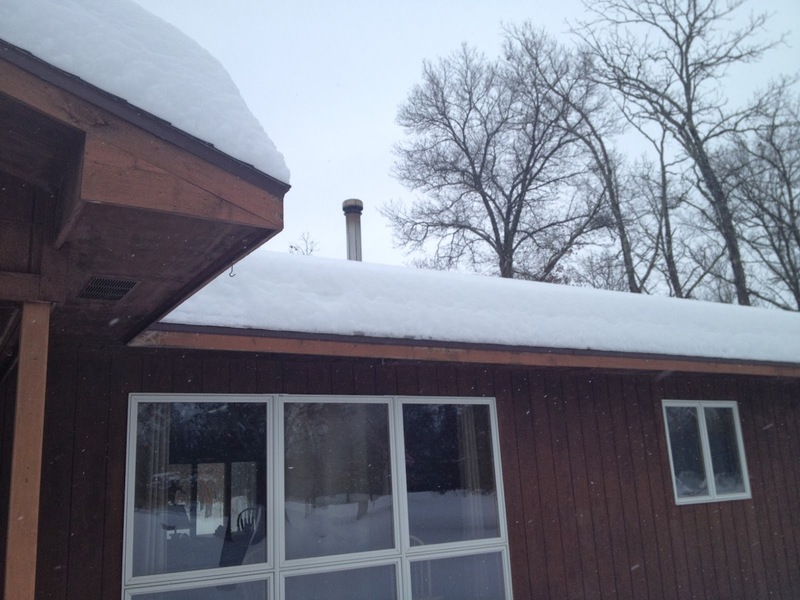 It won't matter if it's a mild or hard winter, year three with the woodstove will go much better.